Mexico, the home of mariachi, margaritas and eternal sunshine – the perfect combination for a truly memorable vacation. This popular sunny vacation destination attracts visitors from all over the world but is particularly attractive for US and Canadian residents, for whom the short, regular and cheap flights make package deals affordable and very convenient. Culturally and gastronomically there are few countries that have so much to offer visitors, coupled with a great service ethos and value for money. It is no wonder Mexico is considered one of the world’s best all round destinations – and that’s not even taking into consideration the off-the-beaten track cities and towns that make Mexico the incredible eclectic cultural mix that it is. The fabulous Baja California peninsula resort is a beautiful beach town flanked between the desert and the ocean. While much of its popularity is often centered on its reputation as a spring-timer haven, the reality is somewhat different with plenty of quiet places to enjoy a Mexican sunset and an array of excellent restaurants and bistros. The are also a number of excellent resorts offering all inclusive, room only and timeshare apartments. Cancun is rightly famed for its Caribbean charm, proximity to Mayan cultural icons and its festive vacation atmosphere. The unparalleled tones of the sea contrasted by the spectacular white sandy beaches make for the perfect setting for an idyllic break away from reality. 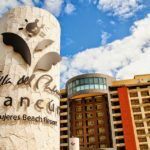 Cancun is famed for its top quality all inclusive resorts and timeshare options dedicated to offering first class services and facilities. Located on the Pacific Coast of Mexico and surrounded by palm covered mountains, Puerto Vallarta and Riviera Nayarit is a spectacular setting for a family vacation. If you want to do more than relax on some of the most beautiful beaches in Mexico, there are so many adventure activities and tours available to keep visitors of all ages fully entertained: from art walks to zip lining, from human sculptures to swimming with the dolphins, Vallarta has something for everyone. 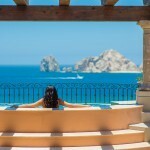 Share the post "Mexico’s Best Vacation Destinations"